Your Reliable Resource For Appliance Repair! Even the most reliable appliances need occasional maintenance to stay in top operating condition. 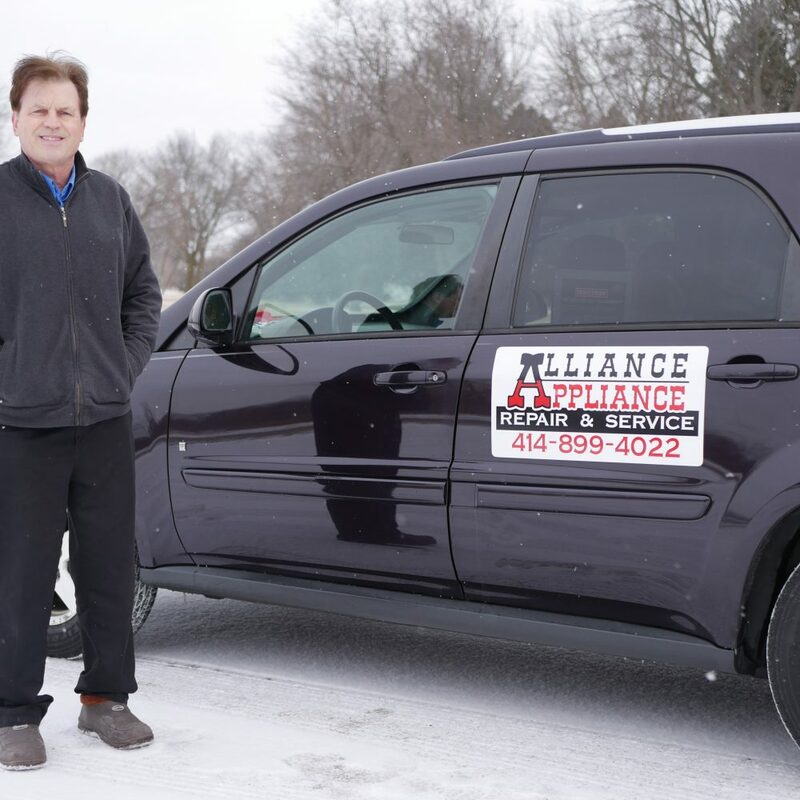 So if you’ve noticed a drop off in efficiency or noticeable signs of damage, contact Alliance Appliance for household appliance repair service that will restore the optimal performance of your equipment without setting you back a bundle. Our team of appliance repair professionals provides service for all makes and models of residential appliances, and we have the knowledge and hands-on experience to handle a multitude of technical issues. Call or email us today to arrange an appointment at your home! Whether you’re struggling with a broken part or your machine isn’t operating up to its usual standard, Alliance Appliance can address the issue and restore your appliance to full capacity. Since 2008, our family-owned company has been helping homeowners save money and time on residential appliance repairs with our quick turnarounds and cost-effective service. For more information about our budget-friendly appliance repair services, call or email us now. At Alliance Appliance, we believe in providing only the best for our appliance repair customers. That’s why we make honest assessments and fair pricing our top priorities. We’ll communicate openly with you through each step of the home appliance repair process, letting you know what went wrong and how to avoid further problems in the future. When you schedule appliance repair services with us, our specialists will examine and troubleshoot the faulty appliance in order to pinpoint the source of the problem and determine the appropriate course of repair. We use quality replacement parts for all of our appliance repairs, and we back our work with six-month warranties on labor, so you can rest assured in the caliber of our service. When you need appliance repairs in your home, don’t be kept waiting or risk an amateur job. Modern residential appliances are composed of complex electronics and mechanical parts that can complicate both diagnostics and the actual repair. A botched appliance repair attempt can have disastrous results, including property damage or even personal injury. Why compromise the safety of your family or home, when Alliance Appliance is just a phone call away to help? Call or email our Milwaukee-area professionals today! We’ll ensure the accuracy of your appliance repair from start to finish, and we’ll do the work quickly at a price you can afford. Plus, unlike most other home appliance repair shops, we never charge extra for weekend or late-night appointments. For your complete protection, Alliance Appliance is a fully insured appliance repair company.